The objective of Sustainable Communities Design Handbook is to ensure a better quality of life for everyone, both now and for generations to come. This means creating a better and safer environment internationally through the sustainable use of natural resources, encouraging sustainable development which supports a strong economy, and ensuring a high quality environment that can be enjoyed by all. Sustainable Development Partnerships brings together in one reference today's most cutting edge technologies and methods for creating sustainable communities. 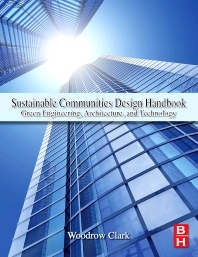 With this book, Environmental Engineers, Civil Engineers, Architects, Mechanical Engineers, and Energy Engineers find a common approach to building environmental friendly communities which are energy efficient. The five part treatment starts with a clear and rigorous exposition of sustainable development in practice, followed by self-contained chapters concerning applications.